The railways of Ayrshire were once an area flourishing with coal traffic, but now much more dependent on passenger services, with the occasional freight working. Stuart Fowler examines the variety of services now seen in this seldom-documented area. The south-west of Scotland has a rich railway history, with the area being well renowned for its coal workings. However, the recent drive towards renewable energy has had a negative impact on the area. modern-day railway enthusiast and photographer alike. 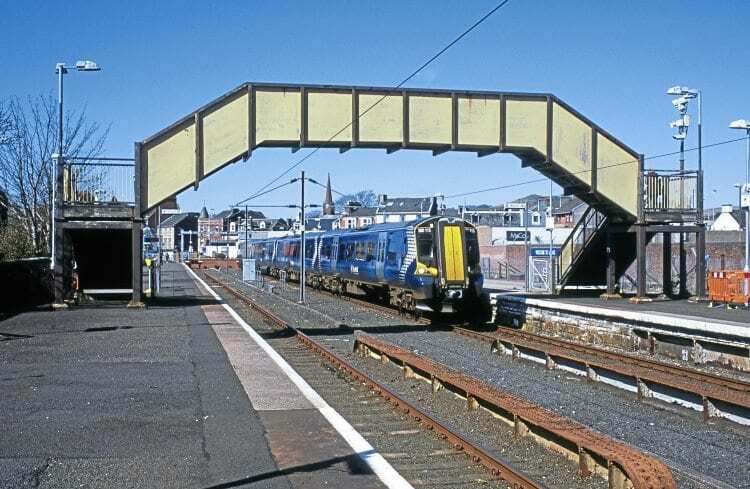 In terms of passenger services, the Ayr line is well catered for with frequent services to/from Glasgow, with less frequent services to Kilmarnock, as well as services south to both Girvan and onwards to Stranraer. The Ayr line has a slight claim to fame in that it has only received new trains following electrification in 1986. BREL York-built Class 318s were the first electric units to use the line, and were followed by the 40-strong ‘Juniper’ Class 334 fleet in 1999, although they did not enter service until 2001 due to teething problems, and in 2010, the German-built Class 380s. The latter now dominate the passenger scene working the Ayr, Largs and Ardrossan services. On March 22, 2012, Freightliner Class 70 No. 70004 is seen applying the power to lift the loaded 6Z81 Hunterston to Killoch away from the single-line token point at Blackhouse Junction. This is the single line from Newton-on-Ayr to Mauchline, however, this working will diverge off the line at Mossblown. At the time, Killoch was involved with blending imported coal with ‘Ayrshire’ coal. All pictures by author. Class 156s are currently in use on the non-electrified lines in the region, working the Stranraer and Kilmarnock services, several of which travel to Glasgow via Stewarton and Barrhead following reversal at Kilmarnock. The class can also be seen on the former G&SW line between Kilmarnock and Dumfries, working Glasgow to Carlisle services. Over the years, south-west Scotland has proved to be a popular destination for excursions and railtours, with the area being well known for the famous poet Robert Burns as well as having several world-class famous golf courses, including Royal Troon and Turnberry. Although there is nowhere near the quantity of tours of yesteryear, each year brings a handful of workings, with several tours actually starting at Ayr, using both steam and diesel traction. The most interesting aspect of these tours is the variety of motive power used to haul the trains, if not heritage or unusual, there is the guarantee of colourful modern traction. Ayrshire is also renowned for having a diverse range of freight-only branch lines which draw in tours purely aimed at those wanting to travel over rare-track. The other regular loco-hauled non-passenger workings in the area are test trains. In recent years it has become common to see both Class 31s and 37s working these trains. More extravagant traction has been in the shape of Class 33s and the Network Rail measurement HST. It should be noted that while loco-hauled diversions are no longer common practise, the G&SW line provides a useful diversionary link between Glasgow and Carlisle in times of need or during time of upgrades on the West Coast Main Line. These workings were Class 47 dominated until Class 57s came on stream, although it is now more common to see ‘Voyagers’ being used in lieu of ‘dragged’ ‘Pendolinos’. An interesting development in the past few years has been the rejuvenation of the Wabtec works in Kilmarnock, as well as the opening of new workshop facilities, namely those at Brodie Engineering. Both Wabtec, formerly known as Hunslet-Barclay, and Brodie Engineering works have ensured a steady flow of regular, unusual workings, with trains often being moved north from England, which brings the rare appearance of locos and stock which would not otherwise be seen north of the border. Brodie’s works has recently completed the overhaul of the Class 334 EMU fleet for ScotRail, which included a repaint into the new Transport for Scotland house colours. These workings were crewed by GBRf, running initially using a mixture of both hired-in Class 57s as well as GBRf-operated Class 66s. 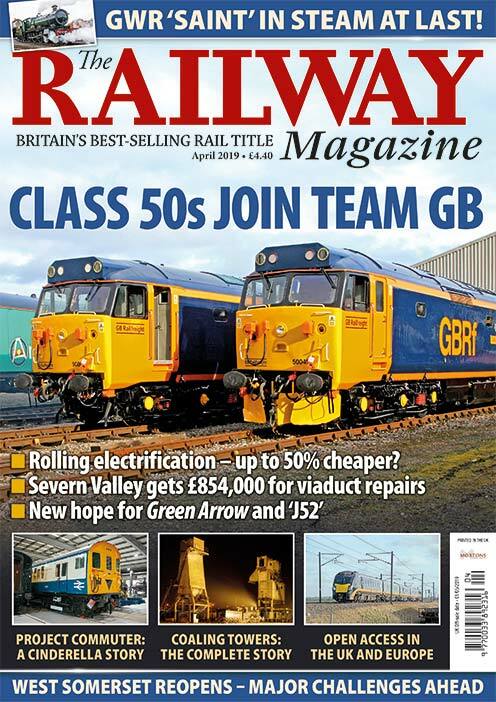 A welcome surprise around the midway mark of the overhaul was when it was announced that GBRf would be hiring in No. 55022 to work the trains; the sight of a ‘Deltic’ in south-west Scotland not being a common event even in days gone by. These workings could operate to and from Kilmarnock either by running via Barrhead or Paisley, offering a number of opportunities to photograph the train in unusual locations. On the other side of the line, from Kilmarnock to Barassie, is Wabtec’s works, which is currently working on the overhaul of GWR Mk3 coaches, with the trailers being moved by UK Rail Leasing. The company also maintain wagons, with workings coming north from Carlisle, as required. Coal traffic was Ayrshire’s prime freight until March, however, following the Government’s drive towards renewable energy, coal has been badly affected. 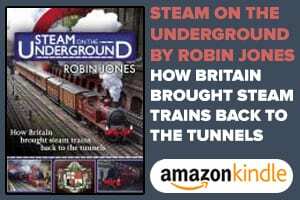 Prior to this tax, while the coal boom was in full flow, large quantities were moving south to the likes of Drax, West Burton, Cottam, Ratcliffe, Aberthaw and Earles Sidings, among others. The once-important focal point of all coal operations in south-west Scotland was Falkland Yard, in Ayr, with Ayr TMD conveniently placed round the corner to service both locos and wagons. The area had been a thriving hub for years, however in 2010, the decision was made to close the yard. Although the odd coal train still uses the yard to recess, it is a shadow of its former self. On July 3, 2011, No. 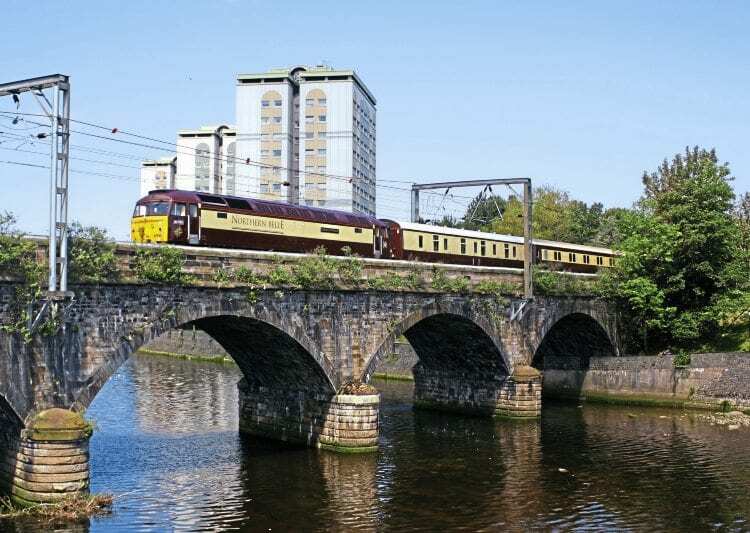 47790 Galloway Princess is seen crossing the River Ayr on the approach to Ayr station while working the 1Z48 Edinburgh to Maybole ‘Northern Belle’ dining train. No. 47832 was bringing up the rear. The decline in Falkland Yard could stem from three main points. Firstly, the rapid loader at Knockshinnoch, near New Cumnock, closed in 2006. This facility had the ability to turnaround trains in an hour and a half, with all loaded trains making their way back to Falkland to run-round to face south. This was because the branch was only accessible facing north, resulting in a circuitous trip to travel south. Secondly, in the early 2000s, Freightliner Heavy Haul entered the Ayrshire coal market and won several contracts that were, at the time, under the EWS banner; this reduced the number of DB coal train running, which reduced the requirement for the yard. Lastly, a new run-round loop at Long Lyes was built in Kilmarnock during 2009, which resulted in coal trains no longer needing to run to Falkland Yard to either run round or face south. The combination of the above all had a negative effect on the requirement for Falkland Yard. Likewise, with Falkland Yard in decline, the decision was made to close Ayr TMD, and today the track has been lifted from the facility with only the empty shells of the buildings remaining; these are expected to be demolished in due course. Killoch, Greenburn and New Cumnock (also known as Crowbansgate) were the main focal points of coal loading in the area. The Chalmerston branch to the south-east of Ayr closed some time ago, and while rumours suggested that the site would re-open, the line will almost certainly never see a coal train again. As Freightliner began to work more trains in the area, the company soon found itself requiring a signing on point for its drivers. 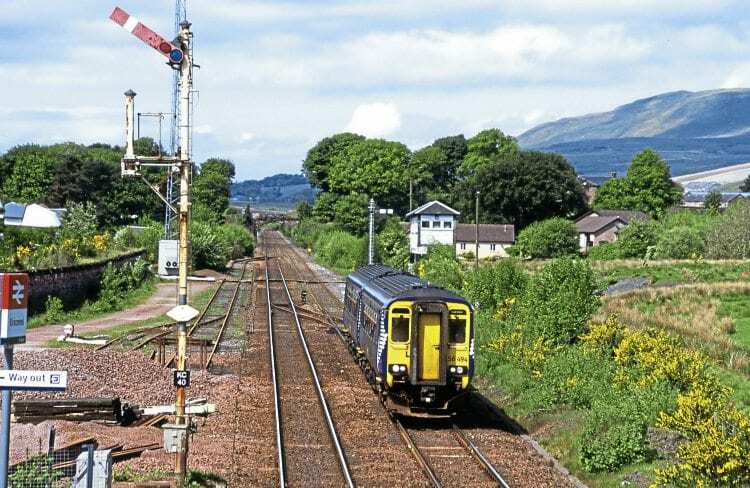 The station at Troon was selected for this role and it remained this way until a few years later when the decision was made to move its office to the loading point at Killoch. As traffic changed, so did Freightliner’s requirements, and soon after the company moved the stabling of its coal rakes to Barassie Yard. On top of the flows mentioned above, Ayrshire has also been involved in the blending process of coal, using both imported and local coal to serve a variety of destinations. The reason for this blending is rumoured to be that the quality of imported coal has reduced and a mixture of the two will result in a much better burn rate at the power station. All three of the loading points mentioned above have been involved in supplying coal for these workings. In fact, during 2009,GBRf made its first appearance on the Ayrshire coal scene, moving coal for blending purposes from New Cumnock to Lynemouth and Blyth Power station in the north-east of England. All Ayrshire passenger services are in the capable hands of Class 380 EMUs. During the summer of 2015, No. 380115 is seen awaiting departure from Largs with an afternoon service to Glasgow Central. Further along the Ayrshire/Clyde coast is the deep port at Hunterston, which is largely responsible for supplying Longannet Power Station in Fife with the bulk of its imported coal. Its workings are largely dominated by DB Schenker, supplemented by Freightliner. The future of Hunterston has recently come into question after it was announced that Longannet will close in March 2016. However, it is believed that GBRf recently signed a two-year contract to move coal south of the border from the facility. Hunterston also has a nuclear flask terminal, which is situated at the Low Level. DRS work these services to/from Sellafield. Motive power is often varied, with Class 20s, 37s, 47s, 57s and 66s all known to have made appearances. Although the days the train runs changes constantly, the diagram has long remained a lunch-time departure offering many good opportunities to record the train in the best light of the day making its way south. While coal provided the largest proportion of freight in the area, there are other regular workings such as tank trains to the Irvine Caledonian Paper mill, Prestwick Airport and Riccarton, in Kilmarnock. 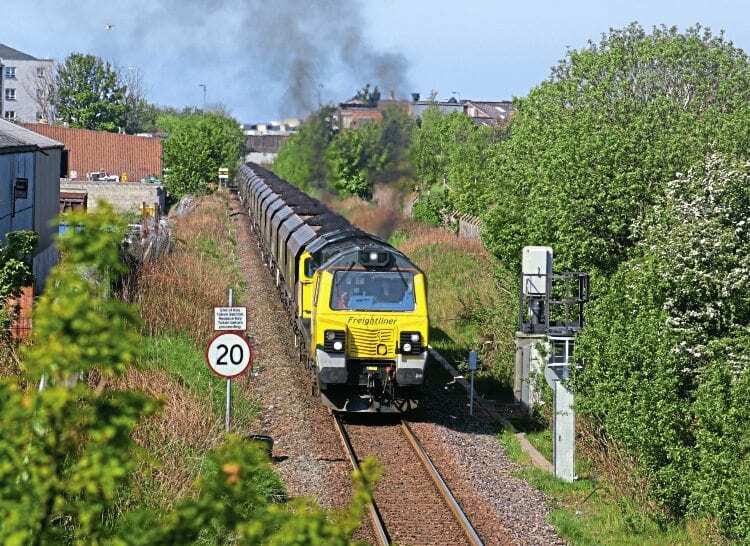 A long-standing turn in the south-west has been the Prestwick Airport aviation fuel train, which runs from Grangemouth. These trains ran under EWS and latterly DB Schenker for many years, however, during 2012, Colas Rail took over operations. In the days prior to Colas, the train would travel down early morning from Grangemouth and would run-round in Falkland Yard, a move that was required due to the airport siding only being accessible facing north. When Colas Rail started operations they couldn’t use Falkland Yard as it was DB Schenker-owned. Instead, the train now runs to Ayr station, offering the first freight to use Ayr for some time. Once again, traction has been used aplenty on these workings, with Colas providing Class 47s, 56s, 60s and 66s, and on occasion, owing to failures, a DRS Class 37 and Virgin Class 57. The train at present generally runs on Tuesdays, however this can vary depending on requirements of the airport. Another established freight service to run into Ayrshire is the China clay tanks from Antwerp, Belgium. This working previously ran from Cornwall and brought St Blazey 37s to Scotland on a regular basis. While the train now comes from the Continent, it uses Class 90 haulage as far as Mossend Yard, in central Scotland, from where Class 66s are used to trip the train to the Irvine Caledonian Paper mill. The in-bound loaded train requires a Class 66 due to its weight, however, it is not uncommon to see a Class 67 taking the empty wagon back to Mossend, providing a bit of variety in traction. Passenger services on the former Glasgow and South Western line from Kilmarnock to Dumfries and Carlisle are firmly in the hands of Class 156s. On a warm July afternoon, No. 156494 is seen approaching Kirkconnel, while working south with a Glasgow to Carlisle service. Note the signals and ’box which remain active today. The Riccarton operation is the final tank train to work in the area. Riccarton is situated to the south of Kilmarnock and is a single-line, freight-only branch. The tanks for this working come from Grangemouth and normally run on a Monday only. 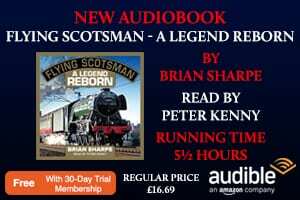 The train today travels back to Grangemouth via Barrhead, however, several years ago, the train used to travel down the single line from Kilmarnock to Barassie Yard, from where it would run round and head for Grangemouth via Paisley. This working, following the takeover by Colas Rail, has produced Class 60 haulage, however it was a regular Motherwell Class 37 turn at one time. The south-west of Scotland can offer great variety to the modern-day enthusiast. The railway scene in Ayrshire is constantly changing. Nothing lasts forever, and while coal traffic has declined, there are other interesting workings to be seen and enjoyed in the beautiful surroundings of Ayrshire.